Are you confused about what tours to do in Cairns? Tourism Cairns will help you select the right tour for you and your family. It takes just a couple of clicks, see the following options. 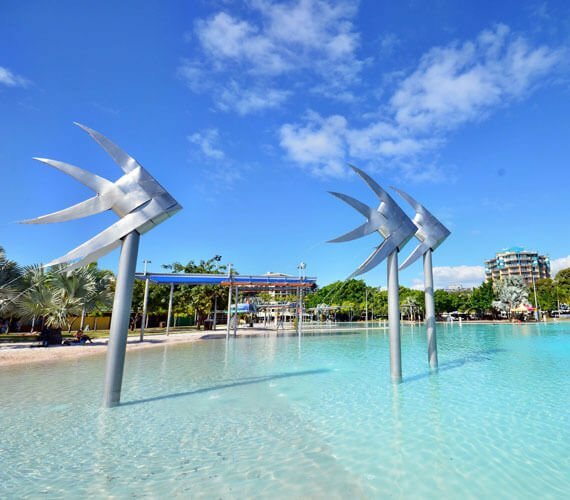 Cairns is a popular travel destination for tourists from all around the world, the region attracts more than 2 million domestic and international visitors each year. Cairns is a unique town for being around so much beautiful natural wonders such as the largest coral reef in the world and one of the oldest rainforests in the world. Cairns is also the perfect place for the adrenaline seeker with many wonderful adventure activities available daily. Tourism Cairns helps visitors find the most suitable tours for them and their families. Our job is to make sure travellers have an unforgettable time in Far North Queensland. We have created several useful online tools to assist travellers with their search for the "perfect" tour. The search cairns tours page or the above search section. The tour overview located in each tour page. The drop down boxes located in each tour category. Our online help & customer service system. These very helpful features for anyone visiting Cairns. Also Tourism Cairns is here daily to help visitors with any enquiry they may have. Please write to us. Stay overnight and sleep in the middle of the Great Barrier Reef and spend all day and night in the water snorkelling and diving. This is the ultimate experience for anyone who wants to spend as much time exploring the reef as possible. Reef Encounter is a floating resort vessel that stays 24 / 7 on the outer reef. They are an excellent alternative for travellers who look to spend a lot of time on the reef with VIP care and treatment. Visitors travel by the scenic railway and Skyrail Rainforest Cableway and also visit the Rainforestation, which is a 40 hectare park surrounded by beautiful rainforest and tropical gardens with many activities available. Skydiving at Mission Beach is an unforgettable experience because of the amazing views of the beaches, islands and the rainforests that can be seen from the air. And the location for landing couldn't be in a better place, in a beautiful white sandy beach around crystal clear ocean water. This is a great package deal with a dive and helicopter flight included. Down Under Cruise and Dive operates Evolution, a fast, large and modern catamaran that provides to their guests a luxury and superior tour with a personalised service. This brand new $5 million dollar vessel offers class and style of a motor yacht. Travel up to the Atherton Tablelands and have a great morning start with a 30 minute Hot Air Balloon Flight, and then catch the Skyrail Rainforest Cableway, see the beautiful and famous Kuranda Village and travel down back to Cairns by the Scenic Railway. A day to remember forever. The best 2 day package in Cairns! Travel on a luxury boat and visit to 2 beautiful outer reef sites, get in the water for unlimited snorkeling and also an introductory or certified dive. The next day travel to the famous Cape Tribulation (the Daintree Rainforest) for another awesome fully guided day tour. The three top "must do" activities in Cairns. Visit two spectacular outer reef sites on a brand new luxury catamaran, then join a trip to Kuranda Village by the Scenic Railway and Skyrail Rainforest Cableway, then travel to one of the oldest rainforests in the world, the Daintree Rainforest. This is a full day reef tour with a Seawalker included. Sunlover Cruises spacious platform offers to all guests complimentary glass bottom boat coral viewing tours, semi-submersible tours, underwater observatory, fish feeding and much more.